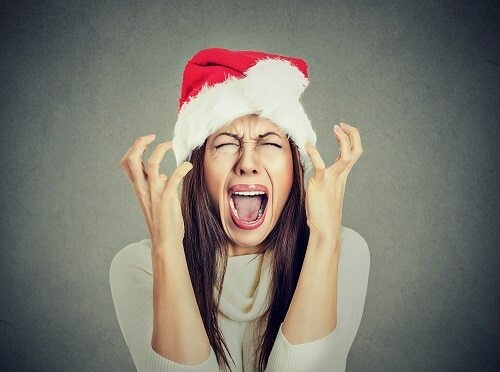 Your holistic dentists in Wilmington know that this time of year with the holidays in plain sight can add extra stress to your everyday schedule. It’s important to remain mindful and calm when things get a little crazy to help protect your mental and overall health. At the All About Smiles holistic dental office, we always make sure every patient is healthy starting with the mouth and extending to the rest of the body for total well being that’s going to help you live a longer, happier life. We thought we’d take a moment to share with you some of the things we do during the holidays to help get rid of stress and enjoy the moments we have to spend with friends and family. Sometimes stress isn’t necessarily a bad thing. But when it becomes a chronic issue or something that you consistently find yourself struggling to overcome, that’s when it can do severe damage to you and even your smile. Studies show that regular stressful conditions could put you at increased risk for gum disease. Even though you’re extra busy this time of year, please don’t forget to exercise. If you don’t have a regular exercise plan that you follow, it might be time to speak with your doctor or primary care provider about how you can get started. Exercise is probably the most significant stress killer there is, and it’s going to help you sleep better, look fitter, and live longer. We talk an awful lot in our blogs about the power of mindfulness, but it’s especially important when you’re dealing with a stressful situation or added levels of complications to your day. Always remember to stay present in the moment and just turn your focus solely on what’s happening right here, right now. Recent studies will tell you that by being more mindful in your everyday habits, you can lower stress hormones and anxiety, while also decreasing inflammation. Just like it can be challenging to get your exercise during the hectic holidays, it’s also easy to take care of everyone else and forget all about yourself. This is only going to increase your stress and anxiety because everyone needs to make some regular me time. Just because the holidays are busy and we’ve got company coming, or we’re traveling to a relative’s house, that doesn’t mean you shouldn’t set aside some quiet time for you doing something that helps you relax. We hope that you and your family have a wonderful holiday celebration. If you’re traveling out of town, we wish you safe travels. When the holidays wind down, and you find yourself in need of some dental TLC, don’t forget to call our holistic dental office in Wilmington. Happy holidays from your family at All About Smiles!